The ELS classrooms have been transformed into blended learning zones. Three extra computers now allow teachers to blend both traditional face-to-face learning with online learning. 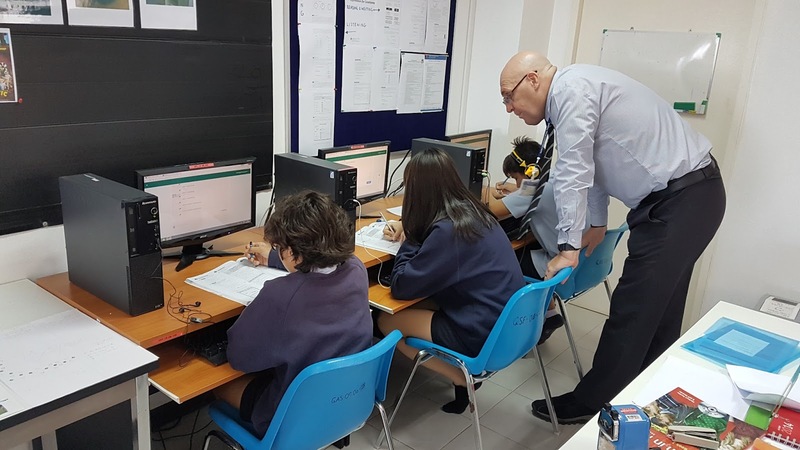 The picture below shows Mr Whittle and the Year 9 KET students working hard in this new learning environment.